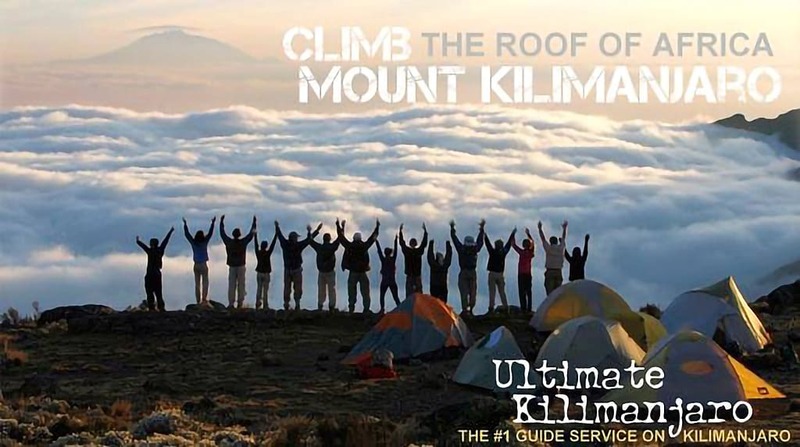 Climb Kilimanjaro with Ultimate Kilimanjaro® - the #1 guide service on Mount Kilimanjaro. We have the best guides on the mountain, with high standards of safety and reliability. We specialize in group climbs and private climbs at a reasonable cost. Not a cheap Kilimanjaro climb, but a great value for everything you need to have a safe, successful experience. We are Kilimanjaro's top operator. Won't you join us on the summit? Our group climbs feature only the best routes on Mount Kilimanjaro: 9 day Northern Circuit, 8 day Lemosho, 7 day Rongai and 7 day Machame. These group climbs are scheduled during months that have the best weather and include acclimatization days for increased success rates. If your dates are not available above, we can arrange a private climb for you. The arrival dates and departure dates are posted above, with the climb days in between (i.e., arrive in Moshi/Kilimanjaro Airport on January 5, climb from January 6 to January 13, depart on January 14). All prices are in USD. Our groups are limited to 15 climbers. These climbs are ideal for solo climbers, couples or anyone who would like to share the Kilimanjaro experience with friendly, like-minded people from around the world. Our groups are typically comprised of a majority of Americans, with a 50% male/50% female split. However, nearly every group also has a substantial number of international participants from English speaking countries such as Canada, United Kingdom, Australia and New Zealand. Group trips are guaranteed to depart, regardless of the number of climbers. For those who want to climb on different dates or routes than our group depatures, we offer private climbs. Private climbs are also for those who would like to keep the group size small to have a more intimate experience on the mountain. Climbers with children or special needs are required to book private climbs for increased individual attention from our guides. We can organize private climbs on any route, for any length, on any dates, for any size group, subject to staff availability. We fill to capacity many months ahead of time during the high season, so reserve your dates as soon as possible. There is a $200 per person discount for Kilimanjaro climbs during the low season (April, May and November). However, due to the high probability of rainy conditions, only experienced backpackers should consider climbing in these months. Additionally, we do not operate Shira, Lemosho and Northern Circuit at this time because the rains prevent vehicle access to the trailheads. A wonderful way to relax after a Kilimanjaro climb is to enjoy a safari in Tanzania - the mecca of game viewing. All game drives are done in four wheel drive Toyota Land Cruisers with viewing roofs. Our safari accommodations include standard hotel lodges and permanent tented camps. Sorry, but we do NOT have group safaris. *Single accommodations are booked by request, at $65 per night. Otherwise all accommodations are shared, double or triple occupancy. We also offer upgraded luxury accommodations in the unique Serena Hotels and Sopa Lodges. These world class lodges provide extensive amenities and unrivaled personal attention in Tanzania's most beautiful places. Availability may be limited so we encourage those seeking to stay in these lodges to book as early as possible. *Single accommodations are booked by request, at $120 per night.